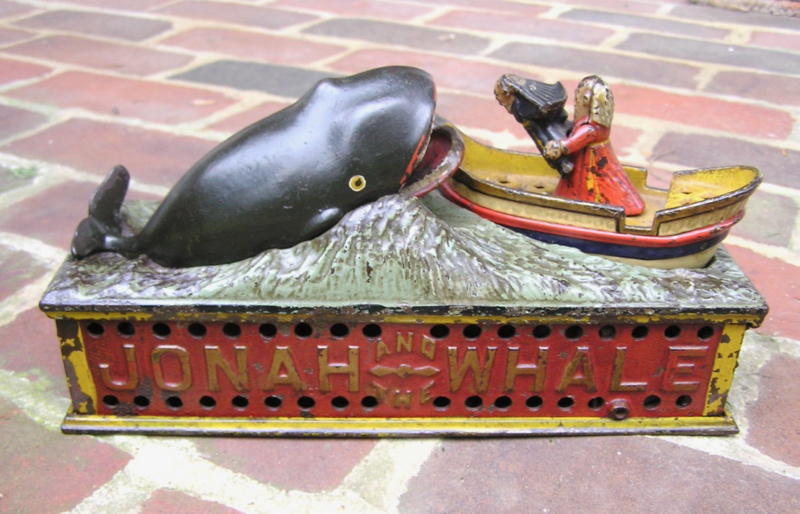 Here is a nice original "Jonah and the Whale" cast iron mechanical bank, made by Shepard Hardware, Pat 1890. 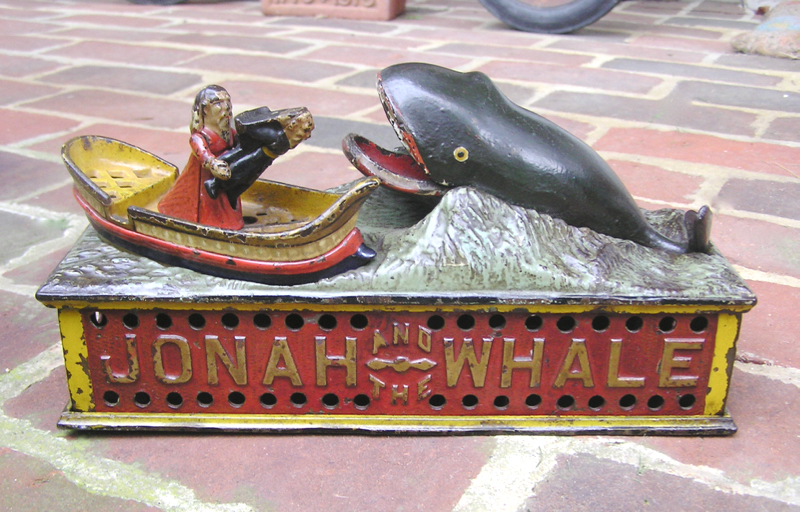 Place a coin on Jonah's head and press the lever - the man moves forward throwing the coin into the whales open mouth. Size is 10-1/4" long. 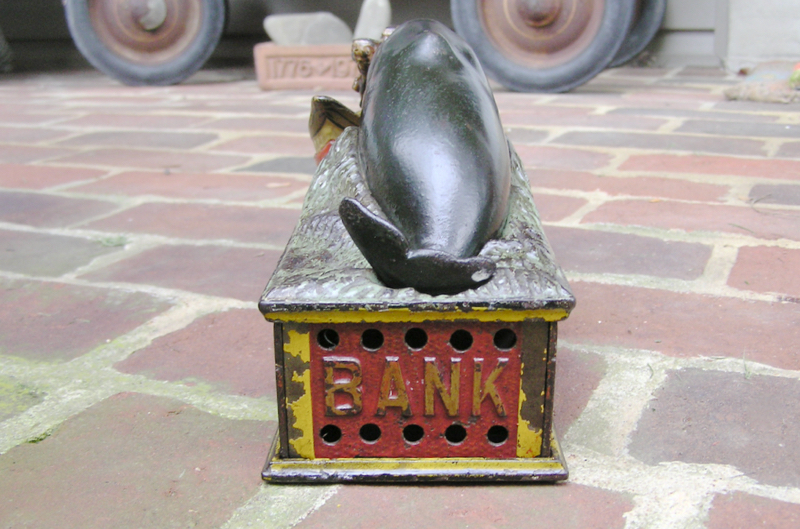 This bank is in excellent overall condition. Nice paint on most of the bank. Very strong whale. 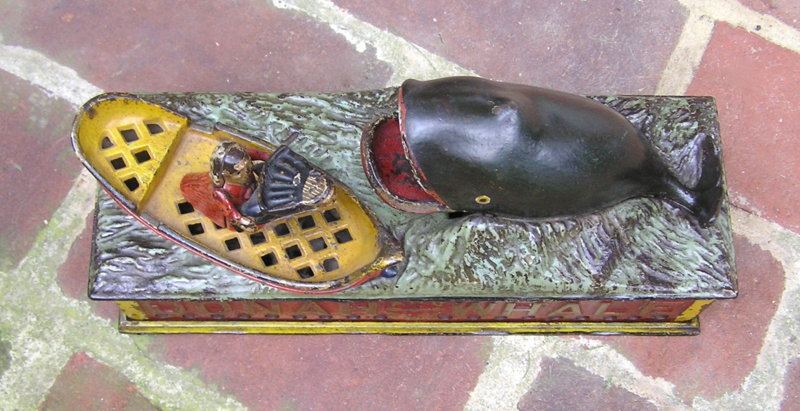 Original trap missing key. Mechanism works perfectly. 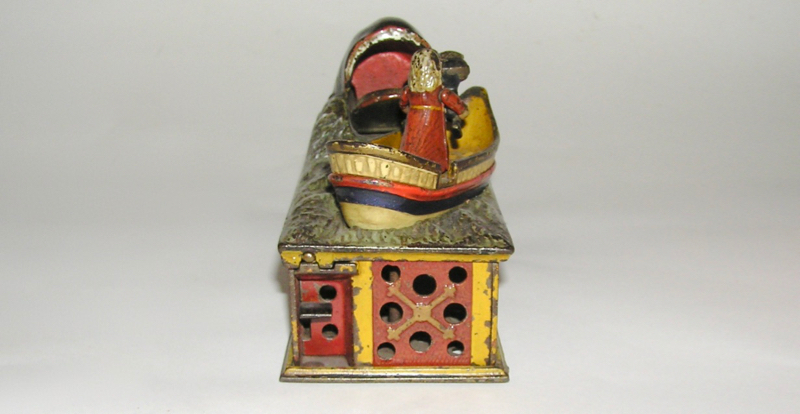 A nice original mechanical bank - don't miss, and please ask any questions. Thanks.